Graduate of Manhattan School of Music and NYU. Flute, clarinet, and saxophone lessons. Classical and jazz, all levels. 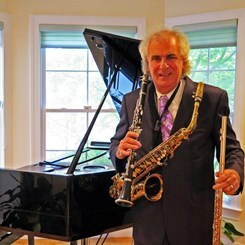 Lee Zakian has 35 years of teaching and performing experience. Personalized instruction. Specializing in preparing students for band, orchestra, and college auditions. Beginners through adults welcome. Classical & jazz. Request Lessons with Leon today!